Harrahs Joliet Casino and Hotel Ballroom, 151 N Joliet St.
Join the ISA, Will-DuPage Section at the 2018 Tabletop Show. 50+ Exhibitors will be Showcasing their Products, Technologies, and Services. 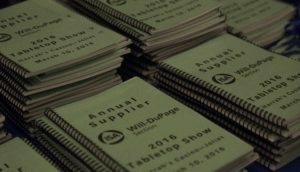 Join the ISA Will-DuPage Section at the 2017 Tabletop Show. 50+ Exhibitors will be Showcasing their Products, Technologies, and Services. This year we will again have a Technical Seminar and a Networking Event after the show. Join the ISA Will-DuPage Section at the 2016 Tabletop Show. 65+ Exhibitors will be Showcasing their Products, Technologies, and Services. This year we will again have Technical Seminars during the show and a Networking Event after the show. Join the ISA Will-DuPage Section at the 2015 Tabletop Show. 55+ Exhibitors will be Showcasing their Products, Technologies, and Services. This year we will again have Technical Seminars during the show and a Networking Event after the show. Join the ISA Will-DuPage Section at the 2014 Tabletop Show. 50+ Exhibitors will be Showcasing their Products, Technologies, and Services. This year we will again have Technical Seminars during the show and a Networking Event after the show. oin the ISA Will-DuPage Section at the 2013 Tabletop Show. 50+ Exhibitors will be Showcasing their Products, Technologies, and Services. New This Year are Technical Seminars and a Networking Event.